Glen Orbik’s wonderful cover tells all you need to know about the beginnings of the nightmarish journey documented in Memory. Actor, and erstwhile seducer of married women, Paul Cole, awakens in the hospital after his collision with the chair. He is disoriented and confused, with a highly dysfunctional memory. From the moment of that awakening, the reader is placed into the Cole’s shoes, sharing his thoughts, fears and general consternation with the nearly unnavigable world in which he finds himself. Herein lies the principal brilliance of Westlake’s work in Memory. We are not simply told what happens to Cole, we co-live it with him. The story follows a relatively simple arc in which Cole’s day-to-day travails are documented. A nasty police detective forces him to leave the town in which he is injured. Surely, there is a clandestine motivation behind the detective’s actions - what was it? Later, in a new town, he is picked up by the police and treated to a terrifying interrogation. Once again, surely something big, but hidden, is afoot- what has Cole done? Every effort Cole makes to re-connect with his old life and reclaim his memory ends in tragedy. He simply can’t understand what motivates the people around him and causes them to react to him so strangely and with such hostility. Surely, at some point, Cole will finally find the key that will unlock the mysteries surrounding his situation and allow him to fully understand the links in the chain of his misfortune. For the reader, the feeling that a big event looms on the horizon grows. The novel must be about more than Cole’s simple and depressing daily struggle with his condition. Some kind of a catastrophe will reveal the source of Cole’s nightmares. Something will either restore Cole’s memory or definitively end his small lingering ability to retain an identity. Is the big event pages away or is the reader now thinking like Cole? Although I have a copy of the print edition of Memory in my Hard Case Crime collection, I was very fortunate to find an audiobook copy at my local library. The BBC Audiobooks America edition is read by Stephen R. Thorne in an amazing performance. Thorne’s voicing and characterization of Cole is masterful, and his work with some of the other players is amusing and engaging. 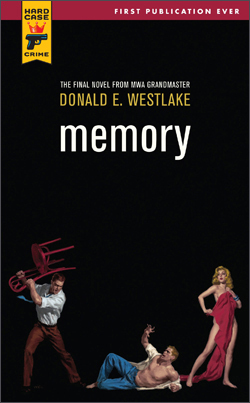 Difficult to say whether my reaction to the print edition would have been different, but I was completely enthralled by Memory. Paul Cole will not leave my memory anytime soon. This is one of the heaviest works in the Hard Case canon. There are also excellent BBC Audiobooks America versions of Parker novels read by Thorne. "You want to see some bad neighborhoods," I offered. "I’ll show you some bad neighborhoods." Ever wonder what it would be like to get behind the wheel of a cab in a large and frenetic city? 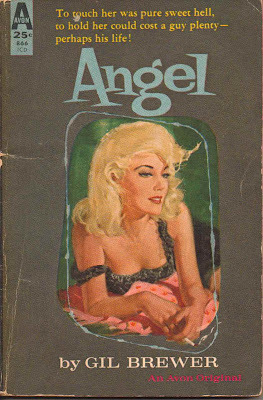 Look no further, Nobody’s Angel takes us right into the harrowing world of Chicago cabdriver Eddie Miles and provides a detailed and fascinating view of what its like to turn a buck navigating the stygian nightmare of Chicago in a cab. Eddie’s Chicago, which very likely does not consist of much, if any, fictional embellishment, is a jungle of crime-ridden housing projects, crumbling and abandoned industrial centers and even entire neighborhoods laid to waste and never reclaimed. Eddie carefully navigates this urban nightmare where everyone, it seems, is either predator or prey. Any cabbie with sense carefully travels between the City’s islands of rich neighborhoods while employing all manner of tactics to avoid venturing off the carefully beaten path and into the nightmare. Clark gives the reader a primer on all things related to life as a cabbie in Chi-Town, right down to quotes from the municipal code. We are taken along on his nightly journeys and share his heartbreak and nostalgia for the lost City he loves. Life in the cab is a constant battle. Every passenger is evaluated and diagnosed as a threat, a safe fare or a sucker that will pay steep for Eddie’s services. The stakes are higher than ever as Chicago’s cabbies find themselves under attack by a serial killer. 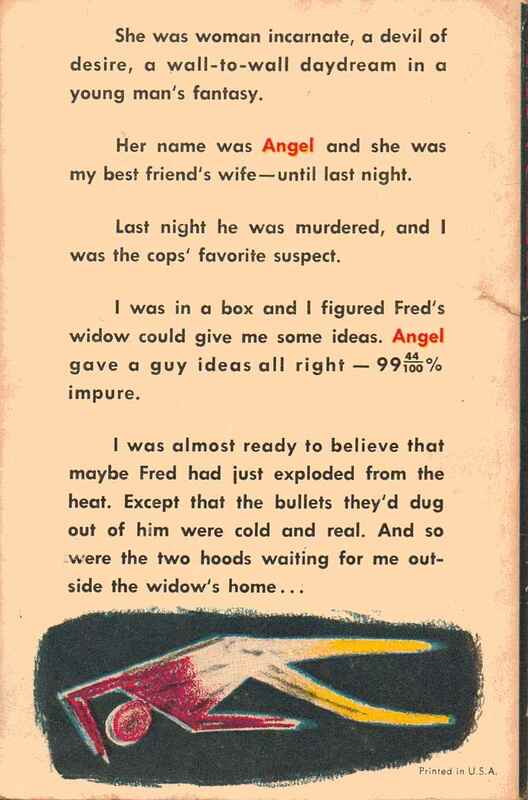 Interestingly, Eddie finds himself in the middle of a couple of mysteries, including the serial killer matter, but advancement of that plot is not the prime focus of the novel. Major plot points relating to the mysteries are dealt with in quick and explosive fashion, while the bulk of the novel concerns Eddie’s routine nightly adventures with fares, his interactions with his fellow cabbies, and ruminations on his personal life. Despite this, the story never became slow for me. Rather, the novel’s exposition of Eddie’s day-to-day life is what makes it special. I was enthralled from start to finish. 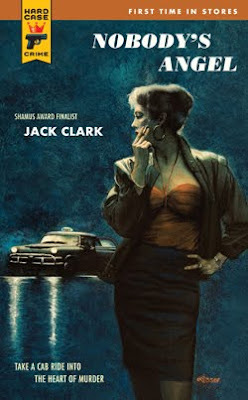 By the way, in case you are unfamiliar with the origin of Nobody’s Angel: Jack Clark actually is a Chicago cabbie that wrote the novel in his spare time and even paid to have copies printed up himself, which he then sold to passengers. He convinced Charles Ardai of Hard Case Crime to take a look. Charles, in turn, thankfully made it available to those not lucky enough to catch a ride in Jack’s cab. It ranks among HCC’s best. 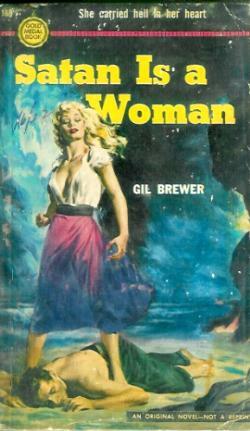 Satan Is a Woman was Brewer’s first title for Gold Medal and he was writing in top form. Brewer’s best novels are based upon a similar motif - the lead character’s blind obsession with a rotten but irresistible woman. In Satan Is a Woman, this motif is set against a background and sub-plot that is actually quite compelling and adds a richness that some of Brewer’s similar stories lack. At its core, Satan Is a Woman is actually a story about two brothers and their attempts to save each other from themselves. The story unfolds with Larry alternately obsessing over Joan and attempting to refocus on his quest to free Tad. As time passes it becomes more and more clear to Larry that Joan is a rotten egg, if not completely deranged. Yet the more apparent Joan’s nature becomes apparent the worse Larry is enthralled by her. 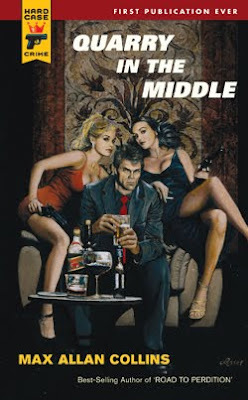 Brewer allows the story to develop at just the right pace as we see Larry’s self-destruction begin as a seed planted by Joan which slowly grows and envelops him in a seemingly inescapable prison of obsession. Joan insists that Larry could never provide them with the life they need and deserve with his simple income from the bar. Slowly but surely she pulls Larry onto the same path that Tad so desperately had kept Larry away from. Larry tries to fight it, but finds himself unable to resist because of his overwhelming desire for her. “But all the time I kept feeling worse. Because it was like returning to some hellish dream. My desire for Joan seemed to mount all the time, instead of decreasing. Her leg would touch mine, and I’d want her. I’d want her from the sound of her voice, with my back turned. From the touch of her hand. From the smell of her. I would have wanted her just seeing her shoes sitting on the floor, maybe. But being with her meant all the rest of the hell. With more of it to come. And if I touched her . . . ."
While trying to find a lawyer to help Tad, Larry meets a legal secretary, whom Brewer cleverly monikers Grace. She is a beautiful but simple woman that takes pity on, and a liking to, Larry. One night Larry realizes where Joan is leading him and makes a break for it, running away and falling into a nightmarish drunken odyssey, from which Grace saves him. By this point, however, it is too late. In another piece of symbolism Joan and a policeman come and find Larry and pull him back into their world - the real world of crime and punishment in which grace does not exist. Joan immediately whisks Larry back into her dirty business and within her hellish thrall. At the novel’s finale Joan is revealed in all of her evil majesty and Larry finally and fully realizes his folly. The ending of Satan Is a Woman manages to be surprising, satisfying and, dare I say, even a bit touching. It ranks among Brewer’s best pieces of work. So begins Guilty Bystander as Max Thursday is awoken from a drunken stupor by his ex-wife Georgia. Thursday is in the room of the seedy hotel at which he works as a house detective for room and board. The bottle has cost him nearly everything and he doesn’t seem to care. Georgia comes to Max in hysterics, having found her son and her new husband missing. She asks her ex for his help, even while half suspecting that he might be involved. 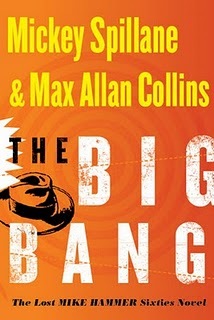 The kidnapping of his son, and some prodding from Georgia, motivate Max enough to sober up and start an investigation. The hunt takes him all over San Diego, from the bowels of a cargo ship to a crime ridden National City neighborhood. Max manages to work his way through a complex criminal conspiracy involving mafiosos, some grisly shotgun murders, a trashy femme fatal and a fortune in stolen pearls. 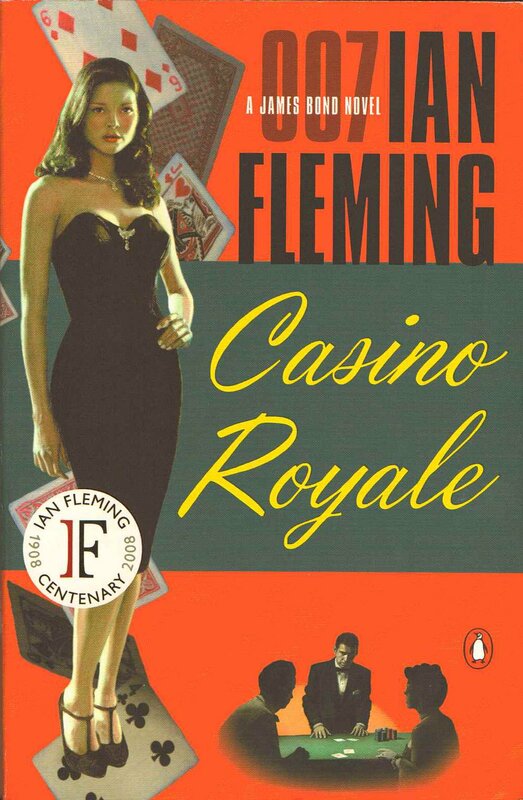 The second half of the novel is fast paced with some great shootouts and a pretty decent surprise ending. I really enjoyed the San Diego setting, nice change from N.Y. or L.A., especially if you are somewhat familiar with the locations discussed in the book. I have previously read a couple of Miller novels and I can state without reservation their writing is a step above your typical pulp. 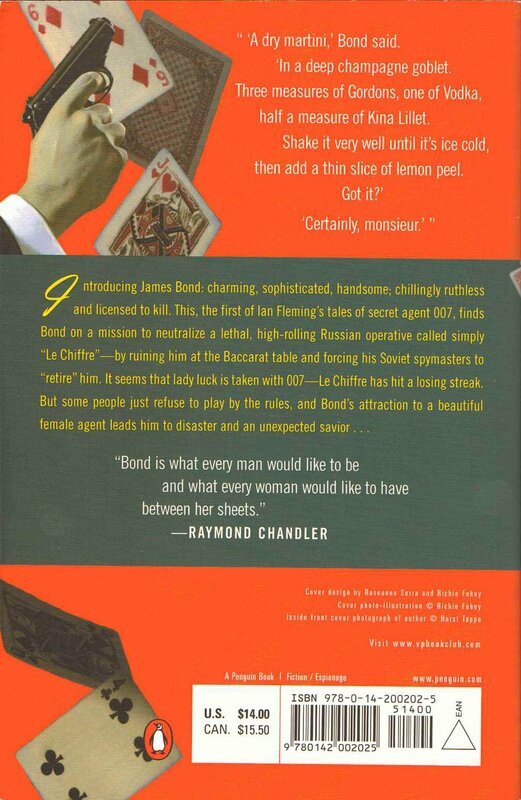 The Thursday series is considered by many to be an excellent but under appreciated body of work, perhaps even ranking up there with the likes of Chandler and Hammett. I certainly found Guilty Bystander to be a good read, but I’m not ready to proclaim Thursday to be the second coming of Marlowe or Spade. Thursday himself certainly represents a realistic, if not entirely sympathetic or engaging, private investigator. I have read comments bemoaning Thursdays anonymity in the face of Mike Hammer’s popularity. Thursday deserves more attention, but not at the expense of Hammer. A hard-boiled sentiment from a world-weary homicide detective, but one that’s actually pretty stupid considering the nature of the bad guys and the child victim in Guilty Bystander. 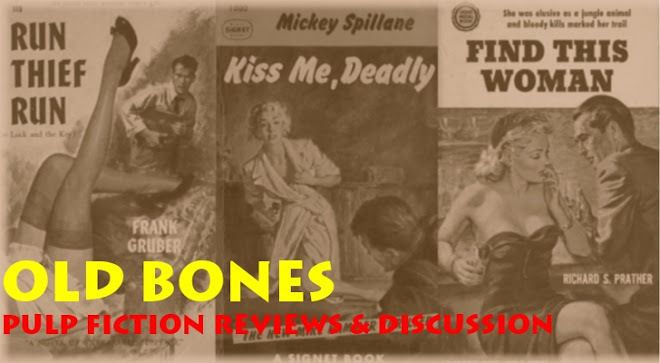 If Thursday’s little boy was something other than an innocent bystander or if society was guilty of creating the novel’s various scumbags, I wasn’t convinced. 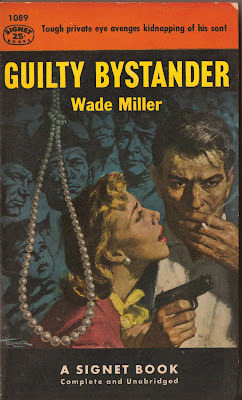 Nothing in Guilty Bystander resonated for me at anywhere near the level of many of the better hard-boiled bits from Spillane - like Hammer’s revenge vow in the first few pages of I The Jury. 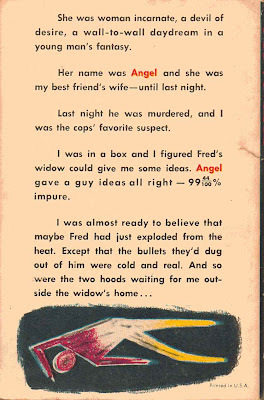 At any rate, Thursday is not supposed to be an avenging angel tough guy, but more of a tragic noir figure that may or may not save the day. 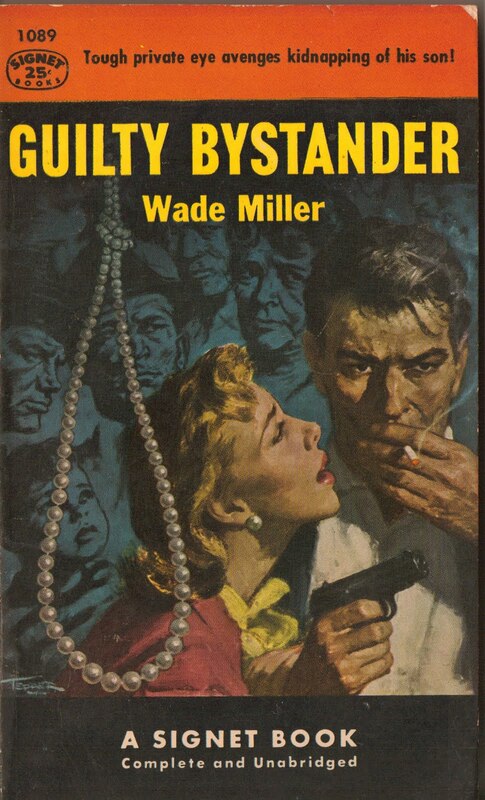 Guilty Bystander is certainly a solid entry among classic pulp P.I. 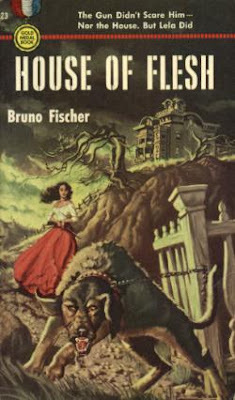 novels, if not quite qualifying as the cream of the crop. I look forward to exploring Thursday’s further misadventures.